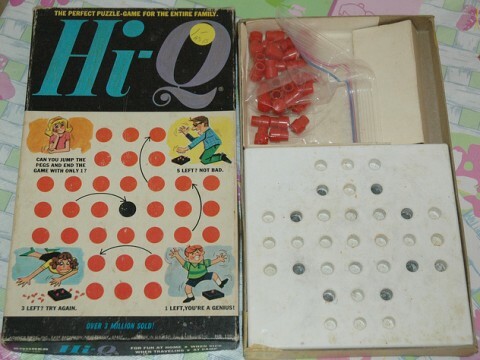 The puzzle HiQ was Melody’s favorite puzzle growing up. You take one peg and jump over all the other pegs trying to end the game with one peg left. She would play this game over and over until she finally got the perfect sequence down. She talked about spending hours at a time working and reworking on the puzzle. 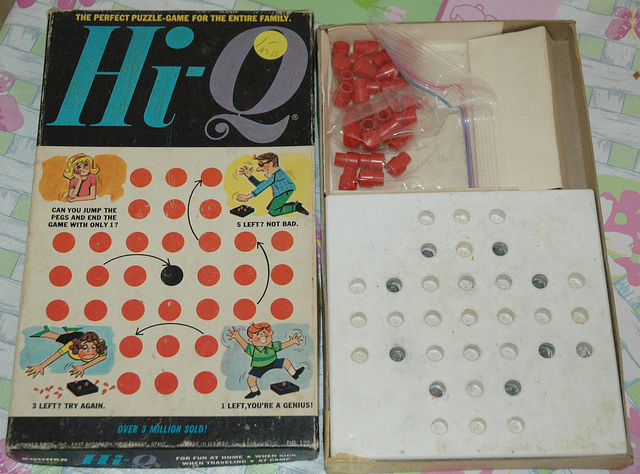 Attached is a picture of the 1954 version that she would’ve played with!